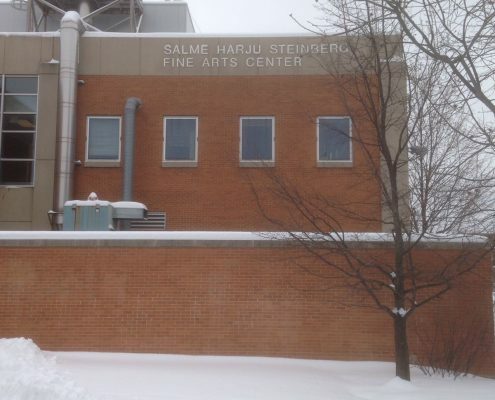 The last day of our tour began with the welcome confirmation that we would perform in Chicago after all – the snowy weather had subsided, and our scheduled masterclass at Northeastern Illinois University would now be a concert instead. The morning afforded us a rare chance to catch up on some sleep, which was especially welcome following our sampling of the delights of Chicago (or Skokie to be exact). 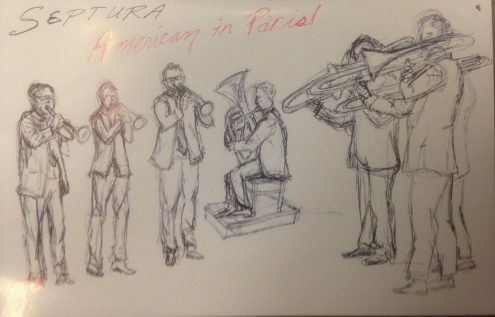 We spoke to lots of enthusiastic audience members afterwards, many of whom were amateur brass players and had been following the group for a while – it’s a slightly surreal feeling to know that our recordings and videos are reaching people so far away, but certainly a welcome one. 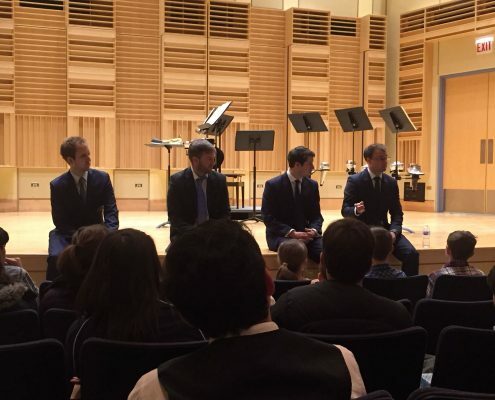 Time was tight for our two trombonist Matts, who were travelling back to the UK earlier than the rest of us, but they still managed to squeeze in a Q&A with students before bidding us farewell. They had by now clocked up 32 days in the States during their combined Septura and Royal Philharmonic tours, so were understandably keen to get home to their wives (and to eat some vegetables). 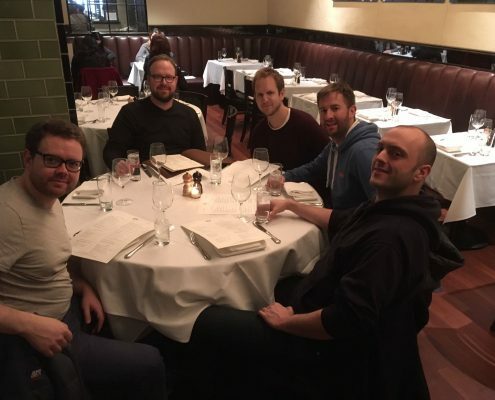 The rest of us finally had the opportunity to do some sightseeing and experience some of the culture and architecture that Chicago has to offer, but we decided to just go and eat burgers instead…there’s always next time. By this stage energy levels were getting dangerously low (I swear Huw fell asleep standing up at one point), so after boarding the aircraft with instruments safely stowed in the cabin (the final potential organisational pitfall of the tour) most of us drifted off to sleep as we finally headed home. In the UK we perhaps tend to view America through the prism of politics or show business, but this trip has allowed us to travel through the heartlands and really see a different side to the country, receiving a generous welcome from everyone we’ve met (even airport staff, who generally were able to mask their horror at needing to perform a security check on a tuba). Despite the heavy schedule, we managed to deliver our best concerts to date, and are looking forward to hopefully returning to some of the places we visited during our next trip there in 2020.